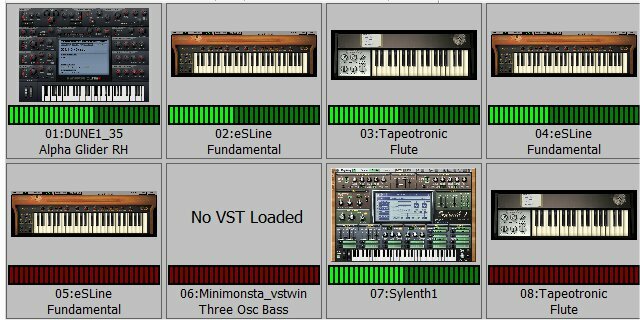 VST Loader is a small piece of software which enables to load one or more VST plugins within a container DLL. After that, (almost) everything is transparent to the Host. Loading/Saving, Program changes, MIDI, Audio works as expected. Moreover, the Loader reacts to, and generates Virtual Controller Data. This means that any change in any VST will generate MIDI data. Not only is this useful when working with my Virtual Controller software but it is also easily adaptable to other situations. The sourcecode for this will be soon available on Github. This software uses the excellent ASIO package found here and only extends the provided example with some extra features and external MIDI support.